Wills, Trusts, & Estates - Attorney at Law - William Glenn Roy Jr.
Glenn Roy Law is associated with a tax attorney, financial advisors and brokers, and other professionals to assist clients with determining the scope of estate planning from the simple will with powers of attorney, living wills, durable powers of attorney, and healthcare surrogate designations; to complex trusts and estate plans with couples asset protection plans that include formation of protection entities and other estate planning vehicles. In association with a tax attorney, other services include projections of tax liability, liquidity requirements, marital and charitable deduction planning, asset protection planning, and the use of family limited partnerships and other sophisticated techniques to minimize gift, estate and generation-skipping transfer taxes. 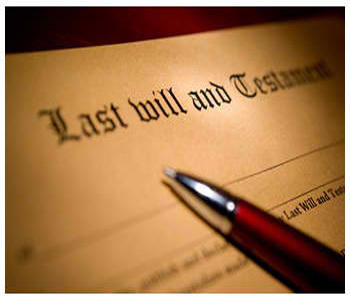 The firm also provides comprehensive legal services in connection with estate and trust administration. Complete fiduciary support services are available through associated experts, including banking, accounting and preparation of income tax and estate and tax returns. When you decide it is time to create a legal will in Florida, you are protecting your assets, your family, loved ones, and business partners when you are gone. A Florida legal will gives you peace of mind now. We can help you with all your estate planning needs. Protect Your Loved Ones and Your Assets with the Help of Glenn Roy Law.